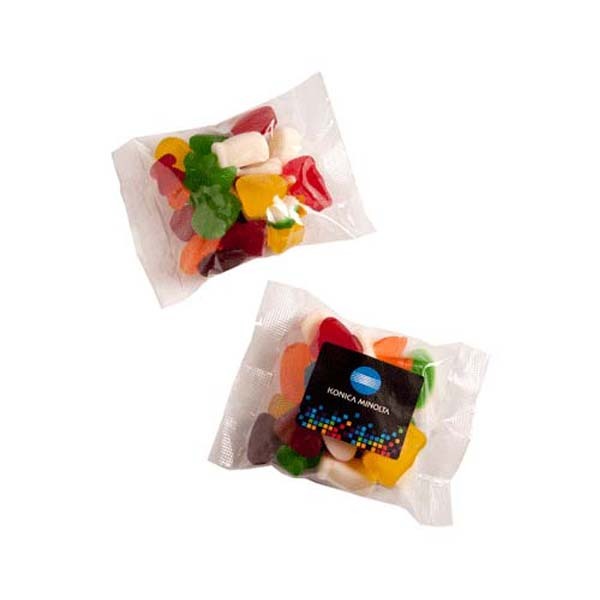 The promotional Mixed Lollies 100 gram Bag will soon become a necessity of your promo products. If you’re still in search for cost effective products that you can use to market your brand on those upcoming promotional events, then search no further. We would like to introduce the promotional Mixed Lollies 100 gram Bag. 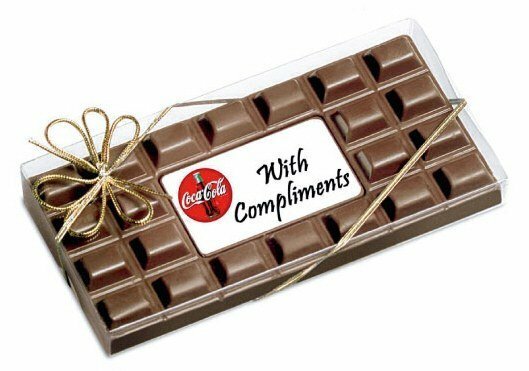 Confectioneries always make great gifts for any occasion, and this candy treat is surely set to make any of your marketing events a sure success. With 100 grams mixed lollies inside, the personalised Mixed Lollies 100 gram Bag is a totally winning package. The bag holding the lollies is a 130mm (w) x 95mm (h) cello bag which comes with a sticker area for your custom designs. This is where you can print your advertising message. So, if you really want to maximise your brand recall, a good idea is to have your logo or any company design printed. 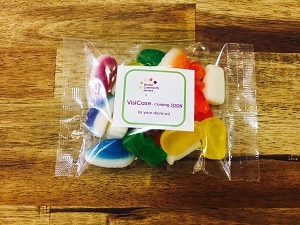 Once it is stamped onto the personalised Mixed Lollies 100 gram Bag, it’s ready to take on any marketing challenge you put it up to. Another great idea for your custom design is designing personalised greetings for special recipients. This makes great gifts for holidays like Christmas or anniversaries when you want to gift some VIPs with something a bit more personal. 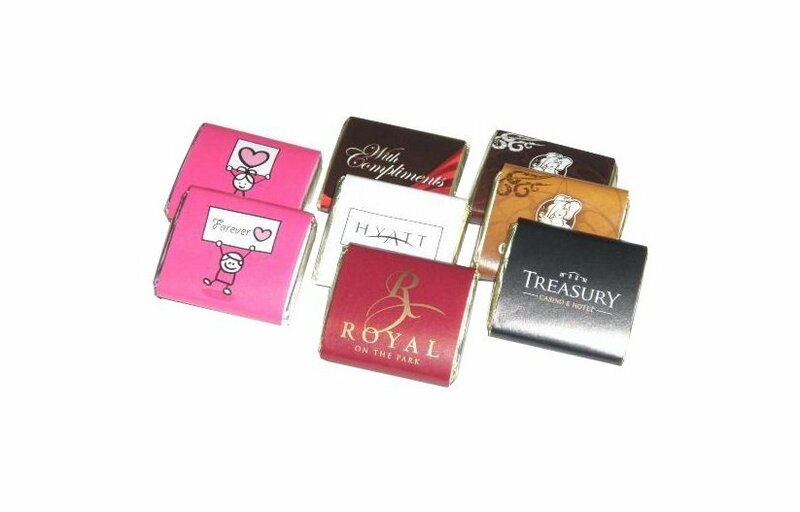 The promotional Boiled Lollies Biz Card Box is also a great way to present your promotional lollies. 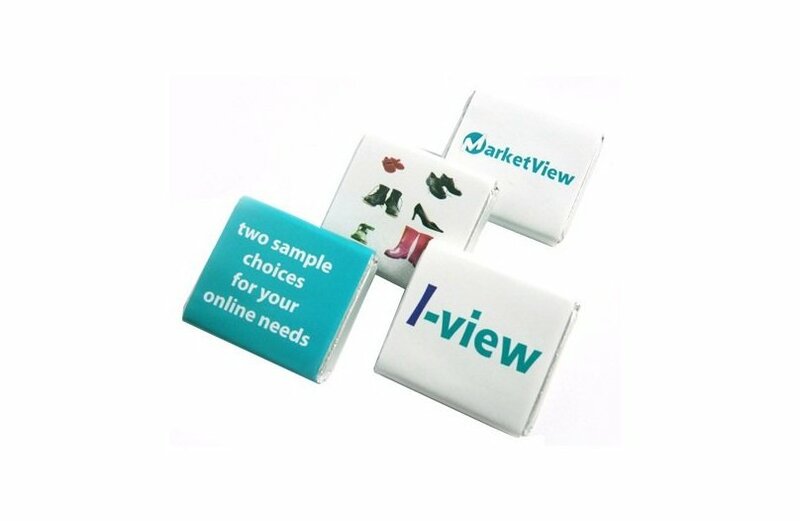 It holds 50 grams of candies while at the same time keeps a display of your business card. You can also choose the promotional Boiled Lollies Pull Can if want a presentation that conceals the contents prior to opening. For doubling the impact of your gift giving, why not add another product along with your confectioneries? We have the custom embroidered Waffle Beanie which comes from our other product line that should be a worthy addition. Give us a call when you have any queries. We can be reached through 1300 008 300, or by hitting us up through live chat.